Popping off on Pinterest for the fashion set back in the summer of 2018, the green aesthetic has been frog-marching its way into the most stylish wardrobes in Britain for the past few months. When it comes to beauty, however, this colour has been something of a slow starter. Why? Well, I’d hazard a guess that unlike with your outfits (where you can dial down a sage green shirt by pairing it with neutrals), there’s nowhere to hide once you’ve slicked on shamrock-coloured eye shadow. Despite this, green is a colour that continues to make an appearance in my feed amongst fashion’s trendsetters and the beauty adventurous. Having been partial to a heavy-handed layer of emerald-green eyeliner during my emo years in the early ’00s, I must admit that this is one colour trend I have a soft spot for. Keep scrolling to see how Instagram’s coolest girls are embracing the green beauty trend and the products that will convert you to the colour. Think of this as your entry point to the green trend. 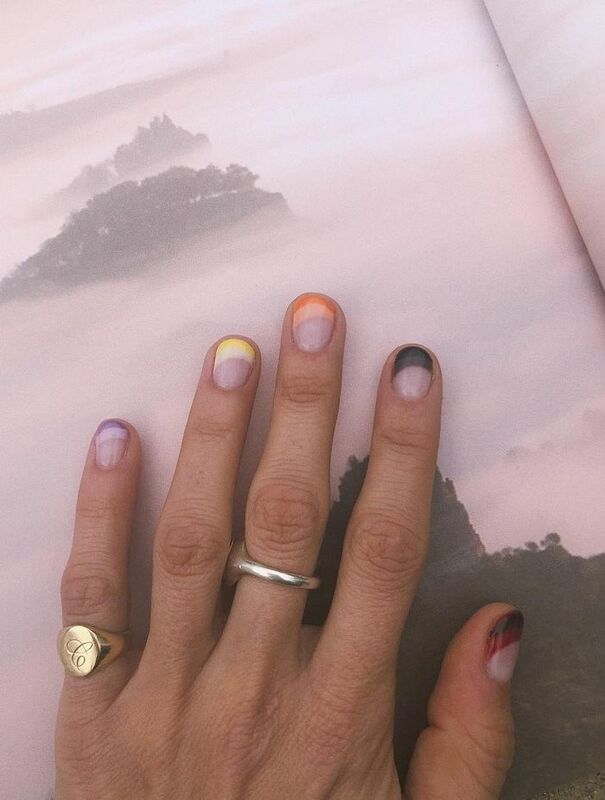 The beauty of experimenting with colour on your nails is that it’s entirely noncommittal. Applied a neon green that looked cool in the bottle but looks putrid now that it’s actually on your nails? Just sweep it off with acetone and start again. Once you’ve found your perfect shade, though, I don’t think you’ll look back. For me, it’s rich forest green, but for you, it might be lively chartreuse. This is ticking all the cool-girl boxes. Lime-green nails, watermelon-streaked hair and an embellished tortoiseshell hair clip send this look straight to the top of the the style class. A pastel-green mani adds a soft wash of colour to a neutral outfit. I particularly love how it stands out against the off-white wide-leg trousers. Definitely not a look for wallflowers, this psychedelic mani nods to another 2019 nail trend (yellow) for a colour combination that will definitely turn heads. If you’re going to go for a green eye, then have fun with it. By keeping the outer edges of the eyelid clear from colour, this fun eye shadow looks modern rather than an ’80s throwback. This is the grown-up approach to green eye shadow: soft and subtle. Wing it out past your outer corners to add definition without the need for a harsh black eyeliner. Take a finger-paint approach to green if you’re going for something this bright. Creamy formulas like the Crayola stick below are best as you can scribble them directly onto your eyelids for an unfussy finish. Keep the colour on your lids only—and don’t line beneath the lower lash line—to keep this look feeling fresh. 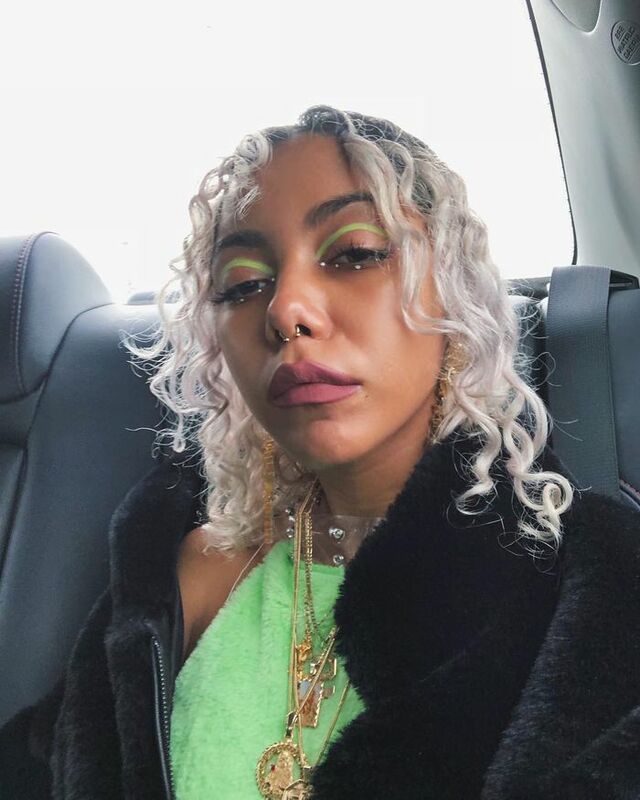 If you’re brave enough to go for it, there are some serious style points to be earned for embracing full-on mermaid-green tresses in 2019. 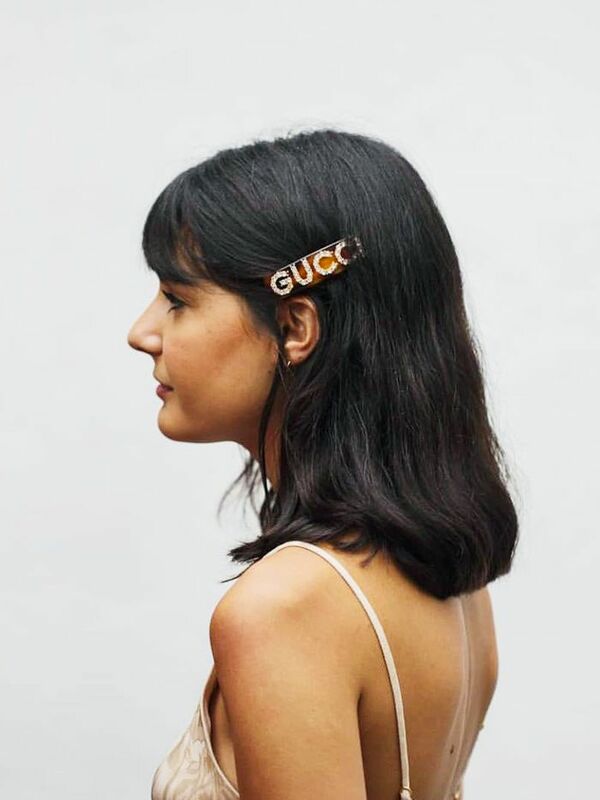 But if you’re not quite there yet, then green hair accessories are also having a moment—and might just be the perfect compromise of beauty and fashion. When your green hair looks this good, why wouldn’t you match it to your outfit? Not ready to reach for the box of hair dye? Worry not—headbands are all the rage amongst the chicest women on Instagram. This neon-green one makes an instant style statement, but there’s also an abundance of emerald and jade-green Alice bands on the market right now. When you’re not quite ready to embrace this beauty trend on your face, try wearing green instead. A cute green hair slide–and-jumper combo is the perfect way to dip your toe into the water before you fully leapfrog in. Next up, everyone I know is talking about this £21 wonder product.